Futuristic towers. Ancient bridges. Derelict power plants. Modern art museums. Massive masterplans. 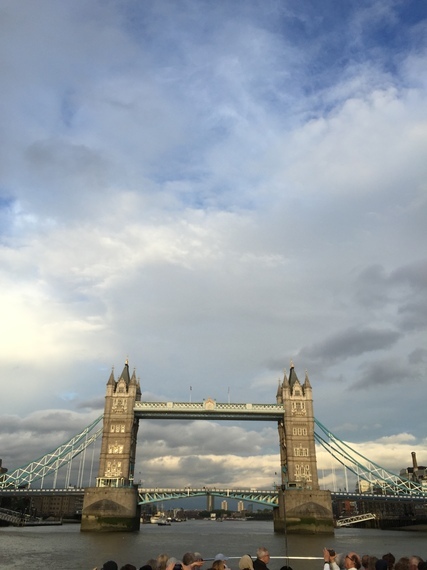 These and more blur together in an astonishing Thames River architecture tour. Open City, London's architecture education organization, offers the three-hour cruise every few months. This crash-course in an ever-changing skyline is narrated with wit and passion by architect Benedict O'Looney. Propped with a microphone near the rear deck of a tourist boat, O'Looney points out materials and styles. He knows his stuff, basing descriptions of many of the older buildings on the book "Liquid History: The Thames Through Time," by Stephen Croad. And he freely offers opinions on London's new, weirdly shaped towers. On your right is the "Lancaster limestone material that forms the House of Parliament, rendered in the height of English Gothic style." To the left is a series of brightly colored or oddly ordered apartment towers - a "mountain of glass" by contemporary architect Richard Rogers. Gliding directly overhead is the stately 1873 Albert Bridge, suspended on "wrought-iron and cast-iron cable stays." The hulking and defunct Battersea power station, under an emerging master plan, "will be the heritage centerpiece of new development. Originally built to power the underground, it will become a massive brownfield redevelopment with thousands of units." They all flow together in a watery pageant. The Gherkin is the twisting, pointy-yet-spherical building designed by Norman Foster and the Arup Group. "I love it," says O'Looney. "But it should have been twice as tall." And then there's the Walkie Talkie. This bulky, hump-backed tower bends towards the street, cartoonlike. It has been re-nicknamed the "Walkie-Scorchie" because it reflects sunbeams at temperatures hot enough to melt car paint. It's funny looking. 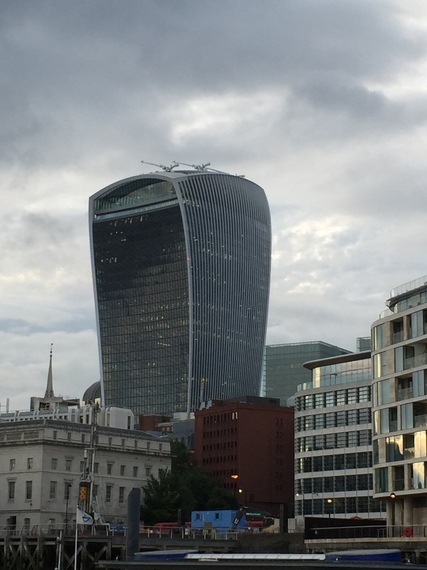 But no one in London seems to be amused by that building. 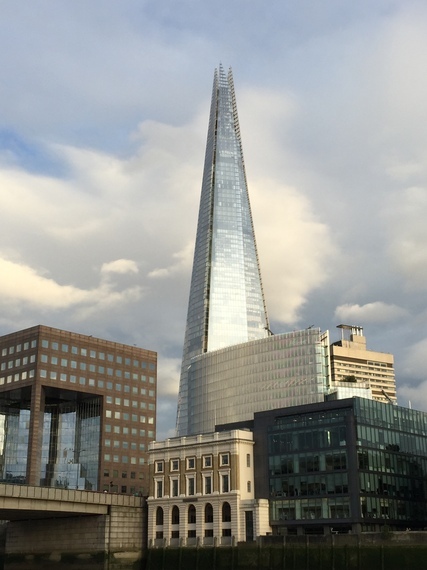 Indeed, a backlash is forming against much of London's new skyline. In a short video widely appearing in architecture sites such as Arch Daily, writer Alain de Botton states: "With a whopping 260 towers in the pipeline no area is safe, as planners, property developers and the mayor's office commit crimes against beauty to create fun buildings." He concludes, "London is becoming a bad version of Dubai." That seems too harsh. The Thames architecture tour lets the city unfold - with all its mistakes and glories - in a way that implies that London learns to correct itself over time.